Apply an X of polish directly onto a foam cutting or polishing pad. Spread polish over a 2’ x 2’ area with the machine turned OFF. If using a rotary polisher, set speed between 800 and 1200 RPM. If using a dual action polisher, set speed between 5000 and 6000 OPM. 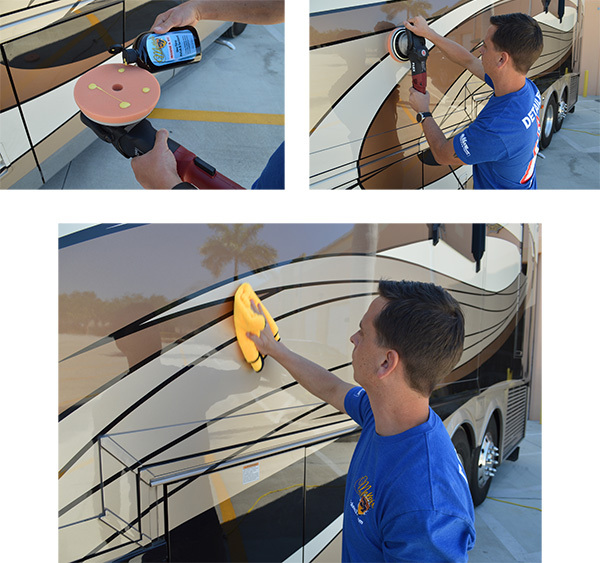 Marine & RV One-Step Polish & Sealant, 128 oz.